The Tissue Paper Roll Machine can be divided into: automatic toilet paper rewinding machine and semi-automatic toilet paper rewinding machine according to the degree of automation. 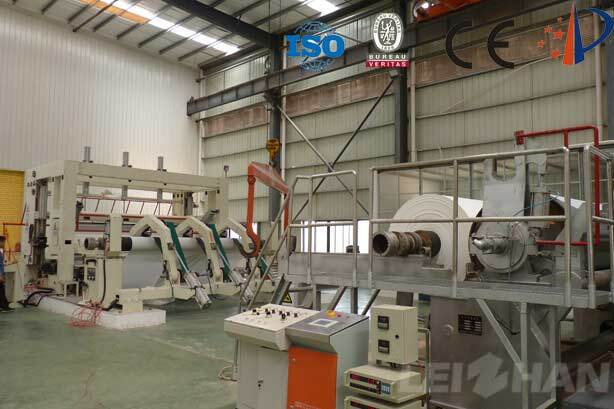 The Tissue Paper Roll Machine can be divided into: toilet paper rewinding machine and toilet paper slitting machine according to different functions. 1. The pressure mesh groove is used, and the sizing is uniform and continuous. 2. The use of the latest international technology combined breathing type hot hood can increase the thermal efficiency by more than 20%. 3. The composite stainless steel pneumatic scraper is used for even wrinkling. 4. A pulse pneumatic automatic carpet changer is used. 5. Groove roller and pneumatic pressurization. More details about the Tissue Paper Roll Machine can contact with us.